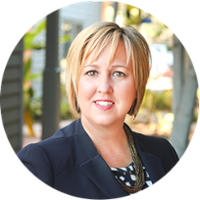 With over 15 years of experience, Jill is an expert in organizational and people development. She partners with clients to implement customized solutions to enhance performance and achieve critical business goals. Jill holds internationally recognized credentials in designing, measuring, and evaluating learning initiatives, along with improving human performance and facilitating organization change. She works with leaders at every level of an organization to identify goals, establish clear expectations, and develop the communication and leadership skills needed to achieve success. Jill’s philosophy is that most of what people need to be successful is already available to them. She works with clients to help them discover the talents, actions and resources that will make them and their teams more successful. Jill’s approach is to ask her clients the hard questions, challenge them to see things from a new perspective and gently push them beyond their comfort zone to maximize their potential and achieve higher levels of success and satisfaction. I enjoy seeing my clients reach a new level of success – however they may define that. I especially enjoy witnessing their “ah-ha” moments when they discover that a small adjustment in perspective or actions can bring about great results.